At Broad Street Maps, we believe that health is inherently a geographic issue. In the U.S. today, your zip code is a better predictor of your health profile than your genetic code. And in much of the developing world, where resources and infrastructure are limited, physical access to primary care can be the single most determining factor in the utilization of health services, and consequently, the health of a population. Therefore, the majority of the problems health workers face in these countries on a daily basis are inherently spatial. Resolving concerns about access to services and coverage, allocating limited resources effectively, and understanding the distribution of phenomena across a catchment area all depend on geographic knowledge. The strength of local public health systems is inextricably linked to basic infrastructure. And being able to visualize that system as a whole — one made up of health centers and hospitals, water wells, bus stops, and marketplaces — is essential for delivering services to where they are needed the most. 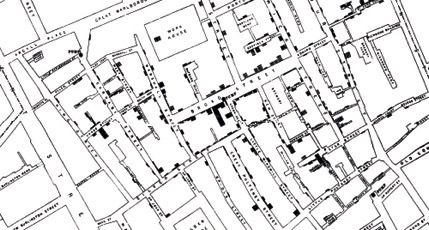 More than 150 years ago, Dr. John Snow, the father of modern epidemiology, and local community leader Reverend Henry Whitehead set out to investigate the cause of London’s raging cholera epidemic. The duo conducted interviews and gathered data points, going door-to-door to track the source of the epidemic. As their research progressed, Snow decided to map of the distribution of deaths in relation to Soho’s water sources. The map showed a trend — many of the deaths occurred around the Broad Street water pump or around businesses that used the pump’s water. Bolstered by his visualization, Snow insisted that the city remove the handle of the pump. After the pump was removed, mortality declined rapidly, forcing the medical community to consider, for the first time, the waterborne nature of the disease. Dr. Snow’s actions not only saved hundreds of lives, they also marked the first time that maps were used to directly influence public health policy. Snow, J. On the Mode of Communication of Cholera, 2nd Edition, 1855. Today, maps and geographic analysis are being utilized in a myriad of ways across public health. They have, for example, been used to record distances that patients have to travel to get to the nearest tuberculosis directly observed treatment (DOT) distribution points, to quantify a relationship between the accessibility to roads and HIV cases, calculate population per bed ratios at local clinics, spatially analyze clinic usage, and evaluate and improve ambulance response times. But despite their proven value, geographic tools remain extremely underutilized in the field of public health. Anyone who has ever interacted with a geographic information system (GIS) can probably guess why. The software is incredibly complex and time-intensive. It requires either a trained staff member or a significant investment in consultation. And most significantly in the developing world, it requires complete and accurate geographic data. Luckily, the proliferation of GPS-enabled smartphones is beginning to simplify the process of collecting and building upon this fledgling geographic data infrastructure. 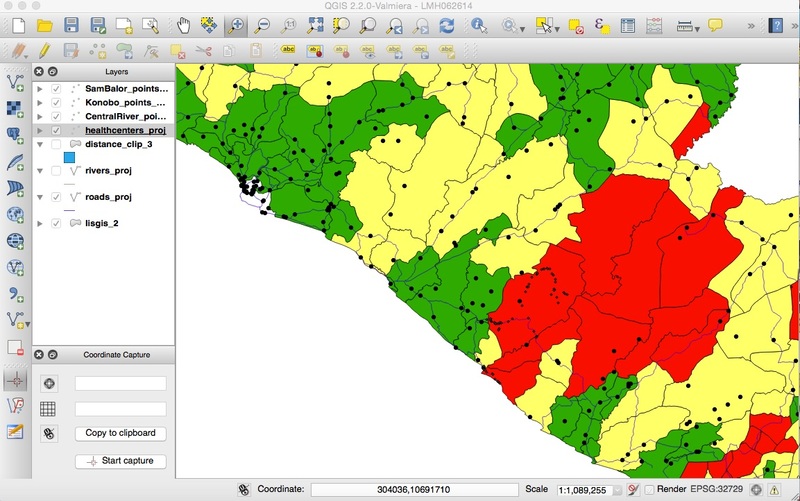 Tools like Magpi and ODK Collect allow users to update health surveys with the simple addition of a ‘Location’ field, thereby putting in place the essential building blocks for geographic analysis without exorbitant time, training, or cost. At the same time, Quantum GIS (QGIS) is offering a free and open source alternative to the close-source giants. And new platforms like CartoDB are making game-changing strides towards making web maps and geographic analysis more accessible. But possibly the biggest obstacle to adopting these tools is a lack of roadmap on how to truly integrate geographic analysis into existing workflows. Smaller-scale organizations with limited bandwidth don’t have time to invest in new systems that don’t directly make their lives easier. Far too much ICT4D ends up being a burden. What we need are tools that streamline the process of analysis to decision-making. What we need are maps for action. Inspired by both the lessons from London and our time in the field, our team at Broad Street Maps is committed to leveraging the power of maps to visualize information, identify patterns, and, above all, actively use this vital perspective to make decisions. If you are interested in learning more, have any questions, or are just head over heels about maps, please shoot us a line at contact@broadstreetmaps.org. Our team is always happy to provide guidance to organizations interested in mapping at all stages of the process. If you are passionate about mapping development data, take a moment to check out the incredible work being done in the OpenStreetMap, the Humanitarian OpenStreetMap, and the Missing Maps communities. 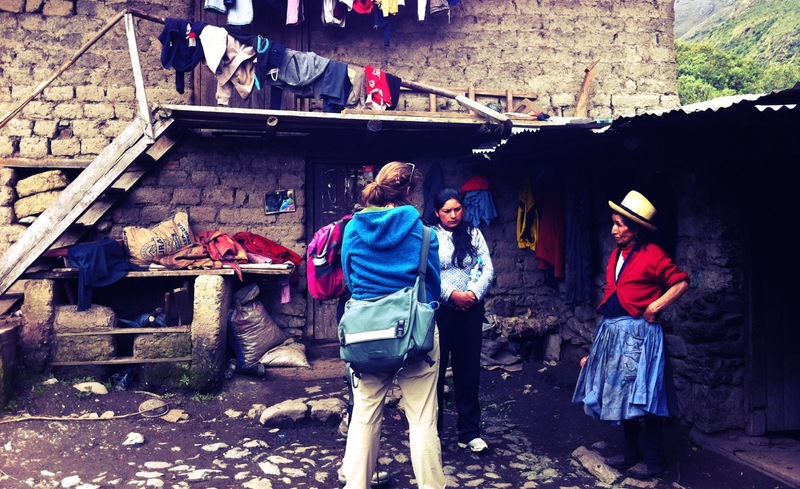 And lastly, for a true immersion experience, be sure to check out TechChange’s course on Mapping for Social Good. Course starts this week! Isabel Shaw heads cartography and product development at Broad Street Maps. 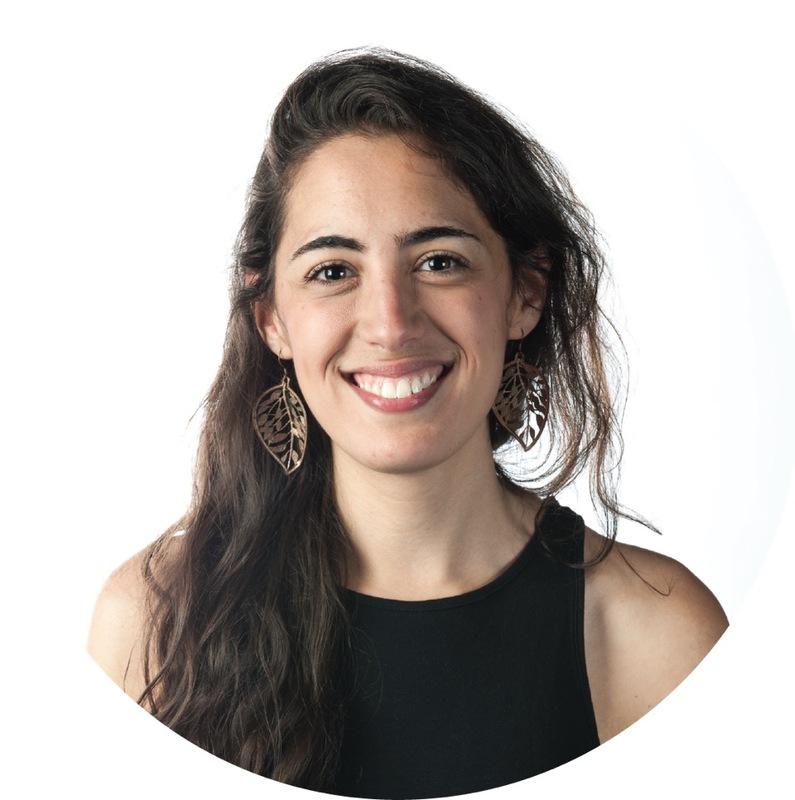 She has worked with Save the Children and National Geographic and lived in Rwanda and Argentina. She is a TechChange alumna and holds a BA in Geography with concentrations in Global Health and Spanish from Middlebury College. Shaw lives in Seattle, WA.